At Aruna Ratanagiri Monastery we are looking for a new groundsman/caretaker (start date negotiable). 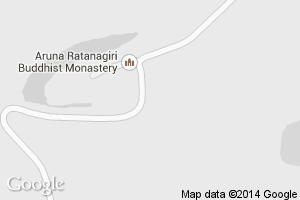 This is a voluntary position to help take care of the various properties associated with Aruna Ratanagiri Monastery. Mostly the function involves mowing lawns, gardening and handyman jobs. Applicants need to be male, reasonably fluent in English and comfortably familiar with Theravada Buddhist practice. Someone taking up this voluntary role would join in the monastic routine, keeping the 8 precepts, with 2 meals a day and the opportunity to participate in retreats and daily meditations. They would have accommodation in a single room. If you are interested, please contact us at sangha@ratanagiri.org.uk or phone on +44 (0)1661 881 612 to arrange an initial meeting.